Lionel Messi left his hometown of Rosario as a child in order to join Barcelona, but his links to the city remain strong. None is stronger than his long-term relationship with Antonella Roccuzzo, who he grew up with in Argentina and now shares two children with. Messi first confirmed he had a girlfriend back in 2009 and on June 30, they will return home to marry each other at a star-studded ceremony. 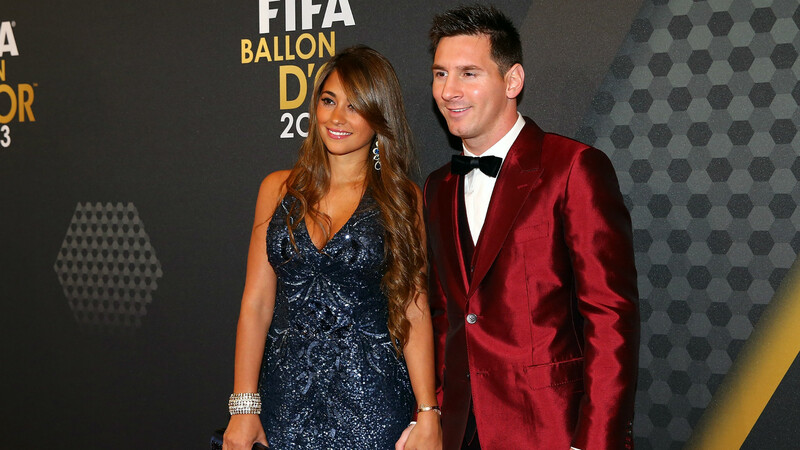 But who is Antonella and how did she get to know the five-time Ballon d'Or winner? This is what we know about Messi's main confidante. Roccuzzo was born in Rosario, like Messi, and is the cousin of the Barcelona star's childhood friend Lucas Scaglia. Messi has a reputation for shyness - particularly as a youngster - but is said to have been besotted with Antonella from a young age, regularly visiting Scaglia's family home just to get a chance to see her. She attended university in Argentina - studying odotology before switching to social communication - and then moved to Barcelona to join Leo. She is likely to have focused on raising the couple's two sons, Thiago and Mateo, over the past few years but recently launched her own line of footwear with Sofia Balbi, the wife of Luis Suarez. According to Infobae, Antonella's relationship with Leo blossomed after Messi returned to Rosario to console her following the death of a friend in a traffic accident. That is said to have been sometime back in 2007, but their association was kept private for years. Generally speaking, Antonella has continued to stay out of the spotlight - though she amassed over four million followers on Instagram. The 29-year-old is known to be close friends with Suarez's wife Sofia and Cesc Fabregas' partner Daniella Semaan. HOW MANY CHILDREN DOES MESSI HAVE? 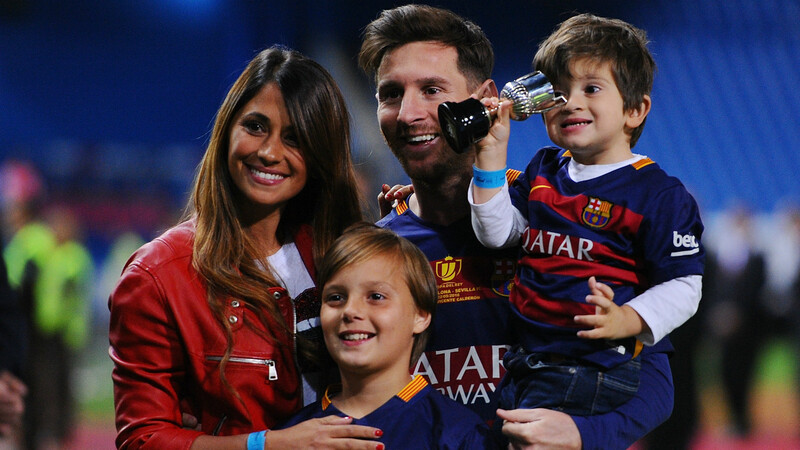 Leo and Antonella have two sons; Thiago, born on November 2, 2012 and is now four, and Mateo, who was born on September 11, 2015 and is one. Messi has tributes to both of his children tattooed on his body and also sports both of their names on his boots. Clearly a proud father, he also regularly shares pictures of the family on his Instagram account. WILL MESSI & ANTONELLA GET MARRIED? Having been together for at least eight or nine years now and with two children, Messi and Roccuzzo will finally tie the knot on June 30 at a ceremony in their hometown of Rosario. Messi's Barcelona team-mates will be in attendance at City Center, a hotel and casino complex, to help them celebrate the big day. The wedding will be guarded by a huge team of security personnel headed up by a former Argentinian military officer, with fans allowed to watch a live stream of the ceremony nearby. Who is Ronaldo's newest girlfriend? There has also been talk of a smaller ceremony being held back in Barcelona for those who cannot make the trip to South America, but that is unconfirmed. As mentioned, the Barcelona squad - as well as a few of Messi's Argentina team-mates and former colleagues - have been invited to the 'main' wedding in Rosario, though, making for what looks set to be quite the party in the duo's home city.